Nintendo Wii and Gamecube emulator Dolphin's June update blog points to code cleanup, folders as memory cards, disc track audio rewriting, and IPC-HLE event handling improvements as some of the biggest improvements to the codebase in recent months that have recently come together. As always, you can find development builds at the official Dolphin download page. The latest stable release remains 4.0.2 from the beginning of the year. Multi-system emulator Mednafen has been updated to version 0.9.36.2. Notable changes include experimental PlayStation save state support, improved MDEC and SPU emulation in the PS1 module, improved WonderSwan RTC emulation, Super Nintendo Super Scope emulation, and a number of fixes to regression bugs. Check out the announcement post for the full list of changes and source code. Mednafen launcher/frontend NekoLauncher Mednafen has also been updated. It looks like the only changes are to add or modify preferences affected by recent Mednafen updates. Get it from Nekocan@mac. While we're talking launchers and frontends, openMSX Launcher hit version 1.3 this month. It now requires Java Runtime Environment 7 or higher. Other changes include a database manager, keyboard shortcuts, and a simplified settings window. See the README file for more details. You can download the launcher at the MSX Launchers website. 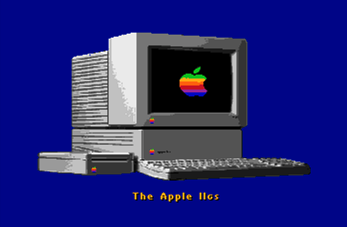 Shoebill, a Macintosh II A/UX emulator, has been updated to version 0.0.4. It now boots A/UX 3.0.1 and 3.1.0 and supports 16-bit and 24-bit colour. Developer Peter Rutenbar wrote that it should also be more stable under heavy I/O load now that a SCSI problem has been fixed. Get it from the Shoebill GitHub page. Machine emulator and virtualiser QEMU has been updated to version 2.1.0-rc1. So far, 2.1 adds support for USB file-sharing via MTP emulation, improves live migration support on PowerPC IBM systems, improves ARM Allwinner SoC emulation, and loads more. See the 2.1 changelog for the full list. Commercial PC wrapper software CrossOver has been updated to version 13.2.0. This release brings improved stability for games running with "Performance Enhanced Graphics". It also fixes bugs with Adobe Acrobat 10 and 11 installations and with non-Latin characters in CodeWeavers usernames. Here's the announcement post. DOSBox frontend Dapplegrey has been updated to version 4.2.6. This release fixes issues with the SVN version of DOSBox and with deleted game entries leaving orphaned mapper files behind. Get it from the Classics for X website. IA-32/x86 PC emulator Bochs has been updated to version 2.6.6. The changes mean nothing to me, but they seem to mostly be bugfixes. Multi-console emulator BizHawk has been updated to version 1.7.1. Release notes for the Windows version cite support for Lua memory events and a number of bugfixes as the changes. Presumably most of these — discounting the Lua stuff — will also apply to Sappharad's OS X build, which you can get via the TASVideos forums. NEC PC-9801E emulator Neko Project II has a new version out. I can't tell you what's new or different, but you can grab Intel builds here.